Temple ATV is a awesome free 3D game. 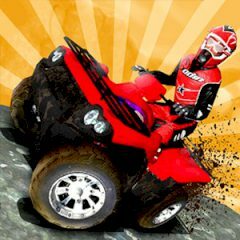 You ride your quad bike or ATV through 20 difficult levels held in different jungle surroundings whilst doing your best to jump over several objects. The challenge is to keep control of your ATV, judge your speed and complete all levels.